E-Filing Resources for Florida Lawyers | LegalFuel. If I had to choose one new technology that has most changed the way that I practice law, it would be the fact that most pleadings and documents now must be efiled in every County in Florida. This enables lawyers to practice in every County without traveling to them; unless the matter requires a personal appearance. Gone are the days when documents had to be printed on paper and hand delivered to the Court Clerk, or sent in the mail. However, use of this new technology requires competence in several areas; including, but not limited to, the creation of PDF/A documents for efiling, and use of and access to, the Court Efiling Portal. Do you know how to Efile, or do you rely on office employees to do it? As always, the Florida Bar's excellent website, LegalFuel.com, has the details. Read and learn. Artificial intelligence isn't a magical unicorn: It's a powerful tool lawyers are already wielding. Everyone who thinks we are destined for a future in which robots wearing suits are going to be trying cases and acting as judges needs to rethink. The SciFi movies you have watched in which robots that are computers dispense with justice unhampered by human sensibilities are fake. Not real. In fact, AI is being used by every human lawyer today. Right now. When you access Ed Walter's FastCase to do legal research, you are using an AI engine that uses huge datasets to find, and deliver the cases on point. 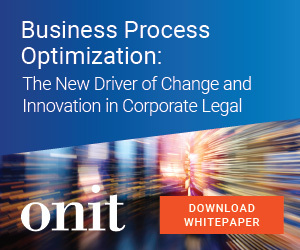 When you use an eDiscovery app to sift through thousands of documents, and bring you those that are relevant to your case, you are getting the benefit of an AI engine. When we can't see a process, we tend, as humans, to call the result magic. But, magic is just another way of describing the enhancements to human knowledge that are possible with advanced science. AI is your friend. 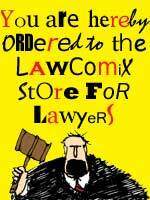 You will be using it, fellow lawyers, whether you like it or not. If you don't, you will be consigned to the dustbin of history. Get over it. Email Oops, and How to Avoid Them | LegalFuel. The Florida Bar's LegalFuel website contains hundreds of great resources and tips for lawyers; and, much of the content is valuable to lawyers everywhere. Check it out. Today's tip concerns all the ways the use of Email can get a lawyer in trouble, and how to avoid it. Read. Apply. Repeat. Pandora Music - Apps on Google Play. I use Pandora every day. It is on at the office all day in the waiting room; and, I listen to my tunes on my phone and in the car via Bluetooth. Now, in an update, Pandora has added podcast support, which means that I can listen to them anywhere I happen to be. There are plenty of legal specific podcasts, as well as everything else under the sun. I never seem to find the time to listen to them during the day; but, having them available when I am driving is very nice. What is your favorite Music app?